Welcome to Express Car Care! Are you tired of visiting the auto dealers and chain stores for your automotive needs, where you are nothing more than a number? Looking for that honest and friendly customer service you can usually only find in a small town? Look no further – that’s why we created Express Car Care Denver. It’s a place you can come to for all of your auto maintenance needs. From a Quick Lube facility, to customized auto care needs, and everything in between, if you have a question or concern about your car, we can provide you with the answers. Why Choose Express Car Care? 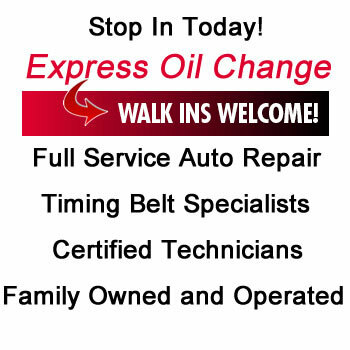 Express Oil Change – No Appointment Needed! Because we are a family owned and operated facility, you won’t be dealing with a new employee every time you come through our doors. You’ll see the same faces again and again. We’ll provide you with a fair cost estimate before we start the work. We promise to give you the best service at the best prices all the time. And with our shop specials, you can save even more. We will do all that we can to help get you back on the road as quickly as possible. Stop by today. And thank you for allowing us to serve you.